Målmarks stands for safety quality, and eco-friendliness. We produce and supply quality and cost-effective plastic items with finishing for a number of different industries. Based in Sweden and with a factory in Hungary, sales offices in Brazil and Shanghai, we deliver quality products to customers in over 22 countries. From the smallest part to the largest item. 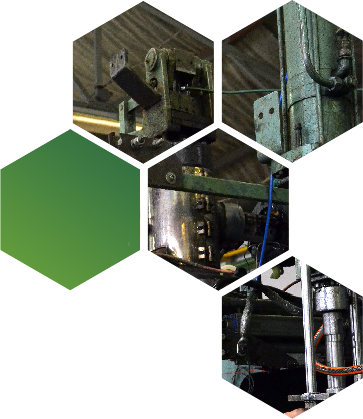 We help you find the most effective solution for your manufacturing requirement. Målmarks has been the first choice of many retailers since 1989 for automotive-related items for safe travel. To meet the requirements of consumers, we expand and update our product range continuously. Constant evaluation of our manufacturing processes ensures that our products are always a safe choice for the consumer and our personnel. Our objective is to lead development within Europe with regard to creating a high environmental standard for plastic products. Cans are produced every year in our factory. around the world are our satisfied customers. Our policy has always been high quality and reliability. Entrepreneurship and experience in production since 1833! Målmarks has big ambitions. With a strong spirit of entrepreneurship, which has its roots in the well-known region of Gnosjö in Sweden, we want to reach out to customers worldwide. We strive to keep the level of service and professionalism as high as the quality of our products. Welcome to Målmarks!